COUNTRY & ROCK GUITAR LEGEND ALBERT LEE ANOUNCES AUGUST AUSTRALIAN TOUR. 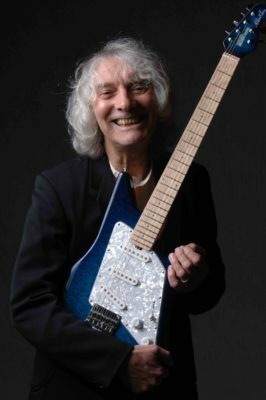 Albert Lee is one of the most respected and renowned guitarists in both rock and country history, and is considered by many to be one of the absolute greatest. The British-born guitarist started his career during the emerging rock ‘n’ roll scene of sixties London, when he swapped bands with the likes of Jimmy Page. He subsequently became known as both a bandleader and solo artist as well as guitarist of choice for numerous big names, including Joe Cocker, Emmylou Harris, Eric Clapton and the Everly Brothers. He won a Grammy for a performance with bluegrass icon Earl Scruggs in 2002; the same year he took part in the all-star George Harrison tribute concert A Concert For George where he shared the stage with the likes of Sir Paul McCartney. Indeed Albert routinely shares stages with all manner of stars, from Keith Richards to Keith Urban. He has also appeared at Eric Clapton’s Crossroads Guitar Festival, and as a member of Billy Wyman’s Rhythm Kings. Along the way he has continued to record; with others and of course for a succession of his own solo albums, his latest being 2014’s Highwayman. Albert continues to tour the world, playing his signature Ernie Ball Music Man. He has an affiliation with Australia – in addition to Keith Urban, he has shared stages with Tommy Emmanuel and worked with many local musicians – but this tour marks his first visit since a short stay nearly a decade ago. Indeed his 2018 Australian tour will take him further and wider across the country than ever before. Tickets all one price: $75 (includes all bkg fees and GST). BYO. Allocated table seating. Doors open 7pm. Show starts 8pm.